If you look through my iPod at most played albums/songs, you’ll notice a good mix of genres from classic rock to hip-hop and the occasional country hit, but there’s always one artist that pops up on EVERY playlist I have, and that artist is Ed Sheeran. 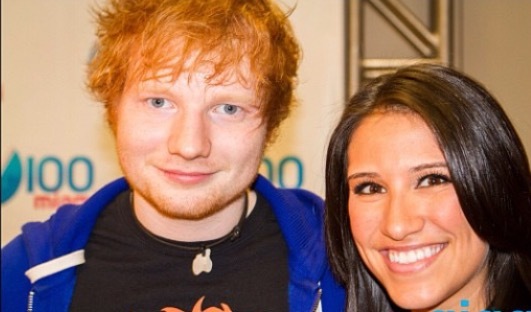 My first interview with Ed in 2012 at Y100’s Jingle Ball in Miami. I met and interviewed Ed back in 2012 at my first Jingle Ball, and saw him open for Taylor Swift a year later. He was sweet, personable, and soft-spoken; and I knew once our interview was over that his guy was going to be a megastar and make an huge impact. Ever since then, I’ve been borderline obsessed with him and I’m not ashamed to admit it. When his latest album came out last year, it only fueled my love for his music and I didn’t care who knew it. News broke that he was embarking on his first U.S. headlining tour, so obviously I was praying that Florida was on the list of show dates because quite frankly we always tend to get screwed when it comes to big tours. The music gods smiled upon me because Orlando, Miami, AND Tampa all made the cut. 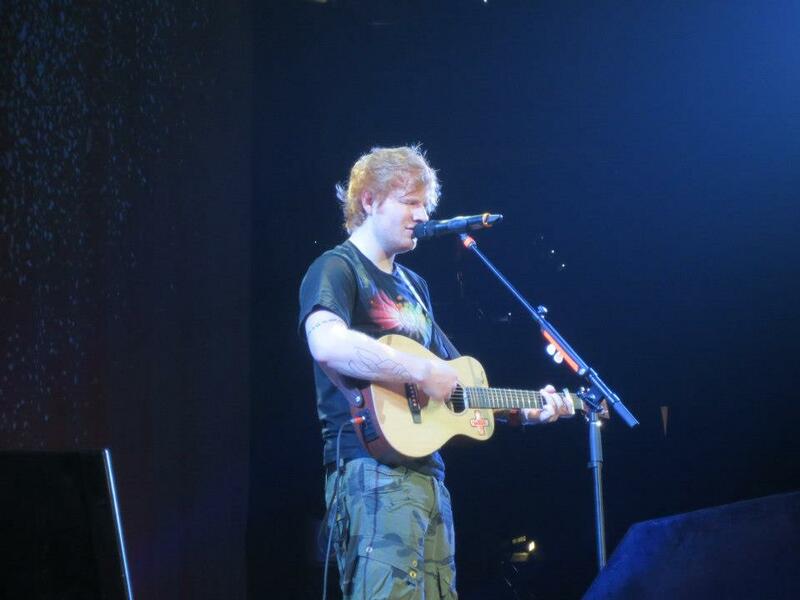 Ed Sheeran opening for Taylor Swift in 2013. Yes, I was THAT close. The anticipation was building up for weeks and finally on show day we were all overwhelmed with excitement to see Ed perform for two hours to a SOLD OUT crowd of 13,000+ screaming fans. Of course he played his mega-hits like “A-Team” and “Sing,” which made for some pretty sweet Snapchat videos if I may say so myself (Follow me on Snapchat if you aren’t already: TheMissRuiz), and it we made fast friends with everyone around us after bonding over our mutual love of Ed. My beautiful squad before seeing Ed Sheeran headline in Tampa. It was well worth the wait to watch one person blow everyone away with his talent. 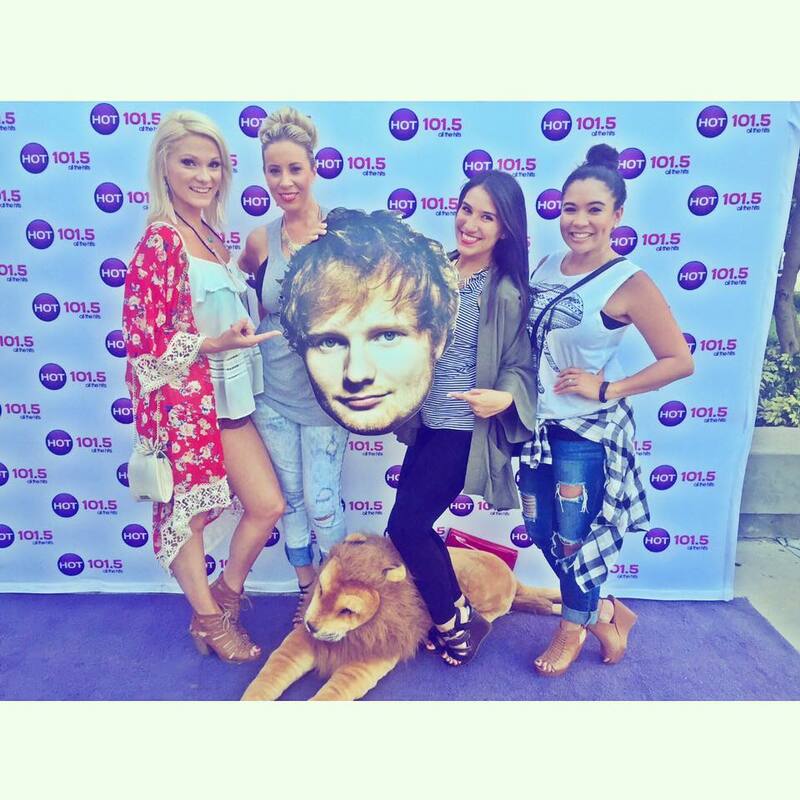 I don’t think most people realize that a big part of Ed’s appeal is that it’s just him– no band, no backup singers. What Ed does using his guitar and pedal board is called “looping” and it’s a lot harder than you think. He plays each part of the song, records it using the pedal board, then layers the next part over it. It really does take a lot of coordination and a pretty creative mind to make it all work the way it should, which is why I have so much respect for him as a musician because I know how difficult it is to do. From start to finish, the show had everyone on their feet. It was such an awesome experience to hear him perform live, and a bonus when he threw in some covers like Backstreet’s “No Diggity” and the always classic “Feelin’ Good” in the most unexpected places. His energy was intoxicating throughout the entire two hour show, and he definitely left the audience wanting more. I think it’s safe to say this won’t be his last headlining tour in the U.S., so if you have the opportunity to see him perform live, please do yourself a favor and GO! Even if you aren’t a fan of his now, I promise you will be by the time he’s done. 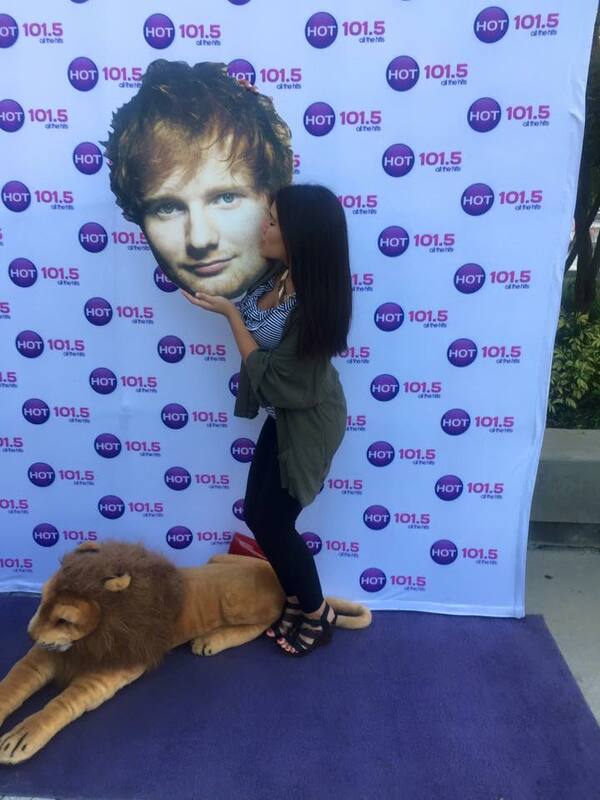 Click here to see more from our night with Ed Sheeran! Keep up with all my concert adventures on IG & Snapchat. Tags: Ed Sheeran. Bookmark the permalink.